The following organizations are interested in hosting a spring Alternative Field Experience (April 1-26, 2019). This list will be updated as additional organizations are confirmed. There are many others who would make fantastic AFE hosts – please continue to contact organizations directly. See How to Contact an AFE Host for tips on reaching out to an organization for the first time. After securing a host, an AFE Proposal must be submitted and approved by the Faculty of Education before teacher candidates are able to begin the AFE. Opportunity: Support the Teacher Librarian / Core French Teacher at Caradoc Public School, TVDSB in Mt. Brydges. Opportunity: Join BHNCDSB’s Catholic Education Centre for the AFE. Learn and understand the Early Years system and how community services work with school boards to support children. Opportunity: An environmental charity, TTLT creates and protects 1500 acres of nature reserves in London and surrounding area. Their School Program helps students learn about local ecology and restoration, through in-class activities and field trips, typically grades 9-12. Teacher candidates can develop activities, resources and curriculum connections. There may be an opportunity to attend in-classroom sessions. Opportunity: One of London’s largest environmental not-for-profits, ReForest London delivers a variety of programs aimed at keeping the forest in Forest City. Teacher candidates have the opportunity to support the “Seeds to Forest” program with grades 4, 5 and 6. Full details are available here. Accepting: 1 teacher candidate. Full details are available here. TC Process: Email a statement of intent and resume following the directions at the link above. Opportunity: The Centre for Planetary Science and Exploration at Western University is an interdisciplinary research centre with a strong public education and outreach program. The outreach program provides classroom workshops, hosts PD day, march break, summer camps as well as produces a podcast. In this opportunity, you will be developing and testing activities, preparing and delivering workshops, editing and assembling podcast interviews. Accepting: Up to four teacher candidates. Preferably with backgrounds in physics, chemistry, math, geology, geography, computer science, engineering background in bachelors as well as with any experience in working with tech/robotics. Accepting: multiple teacher candidates. Any background, with a passion for education. Opportunity: Join the Student Program Support Teacher in the Resource Room, working with students with exceptionalities on a one-to-one or small group basis. Provide some re-teaching of concepts and assist students in completing tasks – learn different ways to teach the same concepts. Teacher candidates may also work in the Student Success room or the School to Community Pathways room, and may look at writing IEPs or supporting testing. Accepting: Up to 2 teacher candidates. Must be outgoing and flexible, and interested in a hands-on experience (not observation). Can come from any subject, be willing to learn other subjects to support the students. Opportunity: WDDS is a non-profit charity that supports people living with a developmental disability. Assist in their Options Learning Centre, where adults can choose courses related to their personal goals and interests. Classes are run between 9-5 and teacher candidates will be paired with a teacher mentor. Accepting: 1 or more teacher candidates. No specific background required, just an interest in supporting adults living with developmental disabilities. TC Process: Complete the Volunteer Application Form for the Options Learning Centre, identifying yourself as a Western University Teacher Candidate completing the AFE (April 1-26, 2019). Accepting: 1 to 4 teacher candidates. Primary-Junior candidates are a good fit. Some aptitude and experience facilitating programs in the outdoors is helpful, but not required. Teacher candidates get the most from the OFNS experience when they have a curiosity and interest in the Forest and Nature School movement and approach to outdoor play and learning. TC Process: Send a cover letter and resume to Tom, Education Manager, at trobson@childnature.ca The Forest and Nature School aims to have interested teacher candidates visit the site for a 1/2 or full day prior to committing, to clarify expectations and ensure there is a mutual fit. We understand this may not always be possible. Opportunity: Complete your AFE at a London Bridge Child Care location. Put early learning theory into practice while nurturing curious minds and kind hearts. Opportunities are available at locations in London, Sarnia and Huron County. Accepting: multiple teacher candidates. Vulnerable Sector Screening dated within last 6 months and current First Aid/CPR C required. Opportunity: A placement with JA provides Teacher Candidates with opportunities to facilitate JA programs in schools in London and Middlesex, Elgin, Oxford, Huron and Perth counties, pending transportation, with a focus on two JA financial literacy programs: JA Dollars with Sense (Grade 7) and JA Economics for Success (Grade 8). Each program takes place over one school day (typically 9am – 3:30pm). Teacher Candidates work with a different teacher and students in a new school each day, gaining exposure to a variety of classroom environments and dynamics. It is a great opportunity to connect with a number of schools and to observe and refine teaching techniques. Accepting: up to 5 teacher candidates, any stream. No specialized knowledge is required. Teacher candidates are expected to provide their own transportation. TC Process: Email Brittany, Program Manager, at blmiller@jalondon.org with a resume, cover letter optional. Qualified applicants will be invited for an interview. A valid police check will be required if accepted. Opportunity: Candidates will have an opportunity to assist in the daily program and routines of the classroom, help guide the children’s behaviour and enhance their knowledge of early childhood development. We follow the children’s interests (which can go in any and all directions) and our classroom is play based with an emergent curriculum. Accepting: 1 teacher candidate with an interest in primary education. Must be able to act professionally, seek assistance as required and have initiative. Opportunity: Working with First Nations Park Staff in running the shelter building, fire making and crafts with grade 5 and 6 students daily. There may also be some activities with the Indigenous Education department at the SCDSB office. Opportunity: Be involved in a wide variety of supporting exceptional students in various school situations. Specifically, working with reading groups, SEA equipment (Google/Read and Write), Lexia Core 5 reading programs, etc. Having said that, we do offer opportunities related to supporting specific divisions – Primary, Junior and Senior. The schedule will be catered to the candidate. Accepting: Our staff is a collaborative and supportive team. We would be interested in hosting more than one candidate to join our team! Teacher candidates should be flexible! Friendly, reflective, collaborative…fun! Opportunity: Support the three education programs at CHEO: 1. Bedside teaching with support from the Child Life teachers 2. Mental Health In-Patient Unit, a locked ward for children and adolescents dealing with severe mental health issues. They have two hours of academic class and one hour of art. 3. Eating Disorders program for in-patients and day program students. The day typically runs from 8:30 to 2:45 and teacher candidates are expected to be involved in all components of their supervisor’s role, including professional development and off-site visits. M.F.McHugh Education Centre also operates a number of other sites and programs throughout the Ottawa area. Accepting: 1 or 2 teacher candidates. Will be asked to follow hospital rules, such as closed toe shoes, no chipped nail polish, no large rings, etc. CHEO is on a bus route and visitor parking is $14/day and there is a $20 security deposit. Primary/Junior TCs will be asked to spend a day at the elementary day treatment site. Opportunity: Join the Developmental Center’s team of 57 students, 39 EA’s and 17 teachers (including prep teachers) – the biggest DE Center in the board! There are 10 classes – students have various developmental diagnosis and range in age from 14 to 21. Experience alternative teaching such as sensory teaching, physiotherapy, occupational therapy, cognitive, academic planning, cooperative education opportunities, life-skills development. Accepting: 1 or more teacher candidates looking to experience special education and to develop IEPs/report cards for special needs students. No prior knowledge is required – just an open mind and open hear. Opportunity: Work with the TVDSB Global Competencies Regional Facilitator who is also a teacher at Banting. During periods 1 and 2, support the history and civics classes at Banting. In the afternoons, support the wide array of Global Competencies programming. This could include podcast recording/editing, website work, running PD and supporting the Banting 50th Reunion planning. Accepting: 1 teacher candidate. Afternoon responsibilities may be off-site…teacher candidate is responsible for getting to and from Banting. The AFE Supervisor will provide transportation to/from any offsite afternoon programming. Opportunity: Work in a specialized child care program with infants, toddlers and preschoolers whose families are experiencing trauma, stress or disruption. Opportunity to learn more about social-emotional development and the impact of trauma on developing children. Accepting: Up to 2 teacher candidates with ability to take initiative and work independently in a changing environment. TC Process: Email Anne Brooks, Communication and Development Coordinator at abrooks@merrymount.on.ca with a personal introduction. A Vulnerable Sector Screening will be required. Opportunity: An UNSECO National Historic Site, the Oil Museum of Canada preserves the site of the first commercial oil well in Canada and celebrates the technology invented there. While the museum already provides tours and community education, they are currently developing curriculum-based programming and lesson plans. Teacher candidates would have the opportunity to develop programming focused on STEM, simple machines, petro science, etc. Great opportunity to build your portfolio. AFE Supervisor has 15 years teaching experience in History/Geography, looking for a teacher candidate with STEM/Science background. Accepting: 1 or 2 teacher candidates, priority given to teacher candidates in the STEM specialty. Background in science or STEM preferred. TC Process: Email a resume to Jessica Gransaull, Executive Director at jessica@steameducation.ca. A Vulnerable Sector Screening will be required. Opportunity: KidsAbility School is a Section 68 school fully funded by the Ministry of Education. We provide a one year program to Junior Kindergarten aged students with complex special needs. Teacher candidates would work with the education team in a class of 6-8 students. They would work with individual and small groups of students to support the attainment of goals outlined in each child’s IEP. Teacher candidates will learn about different special needs, and strategies to support diverse learners to be successful in the classroom. Accepting: 1 P/J teacher candidate, with interest in special education and early years. Opportunity: Our expectation as Learning Support Teachers at Sir Isaac Brock is for teacher candidates to support a variety of special needs students within the classroom setting. Through small group and one to one situations, the teacher candidates have an opportunity to try some differentiating. We also provide experiences to work with our ASD students within the classroom setting. As well the opportunity is to learn the many facets of the role of an LST in a K-8 school. Accepting: 2 teacher candidates. PJ is preferred but JI and IS are welcome. No other special qualifications required. Opportunity: Work with Starfield Connects, an organization that provides international life-changing experiences. Support the organization in multiple ways, including doing the follow-up on the Fall 2018 educational tours for university students to Washington, New York and Vancouver and prepare for the April/May trips. There may be a trip to Toronto April 11-18…if this trip occurs the teacher candidate would have the opportunity to accompany it. Accepting: Up to 2 teacher candidates. Should be strong in math and have experience with children ages 4-14. TC Process: Send a resume to Sarita Pande, Director, at ucmaslondonca@gmail.com. A Criminal Record Check VSS will be required. Opportunity: Experience multiple departments at CIC, including the Academic Department, Student Development (extracurriculars/clubs), Tutoring, University Placement Office, Junior/Middle School ESL Departments. Have a very unique and valuable experience! Accepting: 5-6 teacher candidates. Anyone interested in a meaningful experience, who is hard working and who is willing to dive right in. Opportunity: See how Core FSL can be taught in a northern community. Most of the students here take native language instead of French which, in some cases, makes for very small classes (6 students in grade 4). My expectation would be for a candidate to shadow me, and depending on their level of comfort, perhaps take over one or more classes. It’s a beautiful community! Accepting: 1 teacher candidate who will demonstrate initiative in supporting the teacher. Ideally looking for a French speaking teacher candidate, math, history, science, french literature and culture. We also welcome any English speaking candidates to apply. Opportunity: The London Children’s Museum mission is to provide children and their grown-ups with extraordinary hands-on learning experiences in a distinctly child-centered environment. These learning experiences include public programs for families visiting the Children’s Museum, early years play dates (and early movers programs) for children 6 months-4 years of age and their caregivers, education programs both at the Children’s Museum (for field trips) and in the classroom (both TVDSB and LDCSB classrooms) for schools, edukit rentals (resource kits for teachers to rent), day camps, birthday parties, outreach programs, and much more! Placement students are able to choose which areas of the Children’s Museum’s operations that they’d like to contribute to (in consultation with our staff). Check out our website for more information regarding public programs. Or check out our Education Guide for more information about our school-related programming. Accepting: 1 to 3 teacher candidates enthusiastic about working with children (ages 0-12) and families in a distinctly child-centered environment and align with our core values, which are: Stay Curious, Dream Big, Be Awesome, Be Helpful, Include Everyone and Have Fun. TC Process: Email a resume to Jessie, Education Specialist, at jessie@londonchildrensmuseum.ca Interested teacher candidates will be invited for a short phone interview to make sure it is a good fit for everyone. Opportunity: The Hume Cronyn Memorial Observatory and the Centre for Planetary Science and Exploration (CPSX) on Western’s campus offer active and diverse outreach programs about space and astronomy to the greater London community. Candidates for the AFE will help to critically review, develop, adapt and deliver those programs, with a clear emphasis on the programs focusing on school and youth groups. Accepting: 2 – 3 teacher candidates with background/interest in science. Passion for outreach or space science is a bonus. TC Process: Email a resume to Jan Cami, Director of Hume Cronyn and Associate Director of CPSX, at jcami@uwo.ca Interested teacher candidates will be invited to speak in-person or over Skype. Opportunity: In April we will be ramping up for EQAO. We need support to work on literacy and math with our grade 3 and 6 kids to push our level 2 kids to level 3, and just as importantly, push our 3s to 4. Western students would be working in individual, small group and full-class settings. Our staff are ahead of the curve in their delivery of math curriculum so this is a terrific opportunity for students to enter the teaching ranks ahead of may of their peers. Accepting: 1-3 teacher candidates. Independent, confident, self-starters who are willing and able to learn and apply high order pedagogy in both subject areas. Opportunity: Learn about the job expectations of an Equity Learning Coordinator, including support schools, developing guidelines and providing professional development. Opportunity: Learn about the daycare setting in one of Green Apple Kids’ 8 classrooms (one being French). Spend at least 2 hours outside everyday, including greening/gardening initiatives. Child care is a very different environment from a typical school setting so our wish for students is to be interested in learning about how things work and why and enjoy learning from our team and students. Accepting: up to 8 teacher candidates, English or French. Experience with infants/young children is not required – attitude is the most important. Looking for teacher candidates who are excited & enthusiastic about the opportunity and engage with the students and staff while they are here. Opportunity: The candidate will assist in tinkering, hacking, constructing, deconstructing, learning, and teaching about “making” and “Maker culture”. They will communicate with audiences and foster an open, collaborative environment as well as work with the Underground Studio Coordinator and other staff to design skill-based activities for youth. In addition to the aforementioned, they will ensure safe operating procedures and develop expertise on using tools such as saws, soldering irons, 3D printers, hand tools, and other device. TC Process: Email resume to Riley, The Underground Studio MakerSpace Co-Ordinator, at riley.shortt@themuseum.ca. Bonus points to anyone who brings in an example of something they have made. Opportunity: Being a versatile not for profit association, we have a mandate of offering services in French for the community. We are looking for someone who can help us either with marketing of the services and French shows plan for the next year or with the general accounting or again with the planification of other social enterprises. Opportunity: Support the ESL/ISSP Teacher with English second language and special education. Work with small groups of students. Every day will be different and there is not a regular structure like a homeroom teacher would have. Accepting: 1 or 2 teacher candidates or are self-starters, have initiative and are flexible. Opportunity: Work with gr 9-12 French Immersion classes. Become familiar with classroom rules and routines. Become familiar with assessment and evaluation practices. Become familiar with differentiated instruction/IEPs. Become familiar with contributing to the school community (joining clubs/teams that the Teacher is involved in, PD days, staff meetings). Assist in general in the classroom. Opportunity: Get involved in many facets of LLI including assisting in classes, planning extra activities/classes for our students, assisting with administrative tasks and contributing to ongoing curriculum developments. Accepting: Up to 4 teacher candidates. Prior experience teaching ESL or being an ESL student are ideal, but all teacher candidates are welcome. Opportunity: Examine conflicts and controversies and learn about addressing these issues in the classroom. In addition to designing teaching materials, lesson plans, web resources, video games and interactive online tools, teacher candidates will gain valuable experience speaking in classrooms across the Greater Toronto Area. Accepting: 1 teacher candidate with a demonstrated interest in social justice issues in education. Teacher candidate are expected to provide their own transportation. TC Process: Submit a resume and cover letter demonstrating your interest in social justice education to Sarah, Acting Director of Education, at spole@ccla.org. Applicants may be invited to a telephone or in-person interview. Opportunity: Work alongside Mr. Dragonetti teaching special needs children in fitness activities and soccer. If appropriate, teacher candidates will be able to lead the class with the OCT’s supervision. Opportunity: Virtual High School runs a private online school and also publishes content for themselves and other organizations. There are opportunities for teacher candidates to be involved in multimedia development (with recording experts, graphic designers and animators), with the tech team creating course frameworks, with course writers and developers, and/or with school administrators supporting the running of the Virtual High School. All opportunities would be on-site at their head office in Bayfield. TC Process: Email a resume to Todd, Course Project Coordinator, at todd.dutchyn@virtualhighschool.com Include an overview of your interests or skills, and any specific areas of the Virtual High School that you’re interested in. Opportunity: join a classroom teacher, support teacher or department at a Conseil Scolaire Viamonde school. Do not contact a school directly – all requests must go through the CSV board office. TC Process: Email BEd Program Coordinator, kmentone@uwo.ca, with the preferred grades/subjects/school. Placement will depend on board approval and requested locations are not guaranteed. Opportunity: Experience a French first language school and gain experience teaching health and phys ed in K-6. Accepting: 1-2 teacher candidates. Any teacher candidate that enjoys physical activity and would like to experience teaching in a French first language setting. TC Process: Email a personal introduction to Alan, Enseignant, éducation physique et santé, at benavidesa@csviamonde.ca If the teacher candidate and Alan see a good fit and agree to move forward, teacher candidate must contact Teacher Ed (kmentone@uwo.ca) so a formal request can be sent to CSV. Opportunity: Support the full-time music program at a small elementary school (300 students). Work with the music teacher and have opportunities to teach in K-8 music (vocal, ukulele and band). Accepting: 1 teacher candidate. MUST have a strong music background and hope to teach music full-time. P/J or J/I (if J/I, must have music as a teaching subject). Opportunity: Join a FDK class with 26 different students from various socioeconomic and cultural backgrounds. There are a few behavioural challenges and it is a very busy classroom. Learn about early literacy and numeracy in a play-based, inquiry setting. Accepting: 1-3 teacher candidates. Initiative and patience are important attributes. Opportunity: Museum London serves 1,000 K-8 students every year with their April/May outreach programming. Assist the museum tour guide with an art outreach program to local schools. Also develop teacher resources for the museum exhibits. Opportunity: Support the ESL department through lesson planning, assignments, one-on-one student support, marking, attending PD/field trips and other opportunities, as available. Opportunity: Facilitate hands-on classroom science activities on Ryerson campus and in local schools, grades 2-12, and work on special projects. For full details, click here. Accepting: 1 to 2 teacher candidates, P/J/I/S. If in I/S, math or science teaching subjects preferred. If in P/J/I, a background in science is not required (just an interest in strengthening your science knowledge). TC Process: Contact Leigh, Science Enrichment & Outreach Coordinator, at l.paulseth@ryerson.ca Leigh will arrange for an informal phone interview to discuss the opportunity. Opportunity: Support the development of an elementary dance education resource website under the mentorship of Dr. Traci Scheepstra, dance and drama specialist in the Faculty of Education. Click here for full details. TC Process: View full details at link above. Opportunity: Housed in the Faculty of Education building, WELC provides English language training. Teacher candidates will work directly in a variety of academic and social contexts, including student support, exam prep, cultural engagement and student orientation. Opportunity: Join dHL, Canada’s premier digital experiential learning library, in advancing K-12 education through curriculum/program development, provincial/national projects, research, podcasts, curation and more. Click here for full details. Opportunity: Work with an RECE and their teaching partner to learn more about the collaboration happening in FDK classrooms. TC Process: Contact Leanne Nagle (ECE) and Debbie Campbell (OCT) at leanne.nagle@tvdsb.on.ca Include an overview of your related experience and reason for interest. Opportunity: Perimeter, the leading centre for scientific research, training and educational outreach in foundational theoretical physics, is focused on advancing our understanding of the universe at the most fundamental level. Review and develop curriculum connections to support grade 5-12 teachers across Canada. Accepting: 1 or 2 teacher candidates in the STEM Specialty. Ideally at least one of the teacher candidates will have an undergraduate degree in Physics. Opportunity: Observe and assist in school programs and workshops, and assist Ontario Science Centre School Teachers with labs and lessons. Participate in section meetings and other OSC programs, exhibits and events. Work independently and on a team in a dynamic environment with changing projects/tasks/opportunities. Opportunity: unique opportunity combining teaching in a French-language classroom and volunteer work in the community. Stay with a host family and participate in pre-arranged cultural activities. Bursaries are available. For full details, click here. TC Process: Email a resume to the BEd Program Coordinator, kmentone@uwo.ca. Submit an AFE Proposal online. Opportunity: join a classroom teacher, support teacher or department at a TDSB school. Do not contact a TDSB school directly – all requests must go through the TDSB board office. TC Process: Email BEd Program Coordinator, kmentone@uwo.ca, with the preferred grades/subjects. 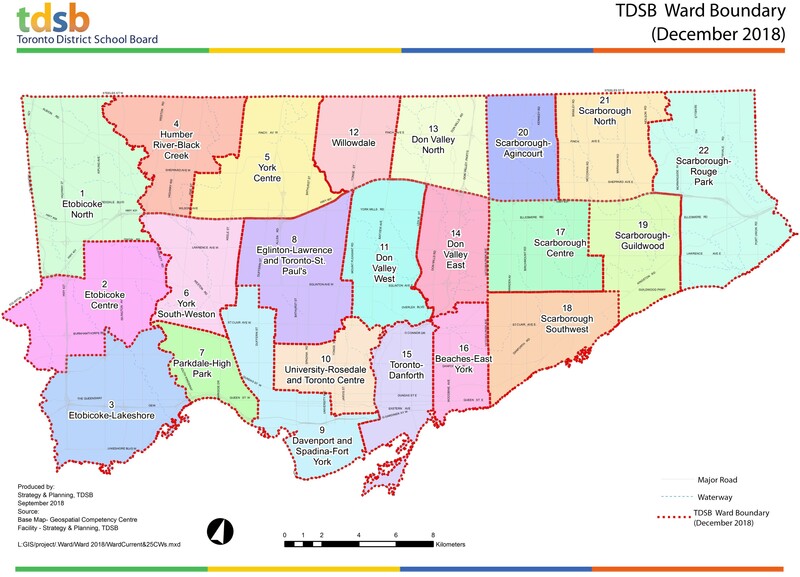 Include your top 3 Toronto Ward location preferences (ward map). Placement will depend on board approval and requested locations are not guaranteed. Requests must be made before February 15, 2019. Opportunity: join a classroom teacher, support teacher or department at an UGDSB school. Do not contact a school directly – all requests must go through the UGDSB board office. TC Process: Email BEd Program Coordinator, kmentone@uwo.ca, with the preferred grades/subjects/neighbourhoods. Placement will depend on board approval and requested locations are not guaranteed. Opportunity: join a classroom teacher, support teacher or department at a YRDSB school. Do not contact a school directly – all requests must go through the YRDSB board office.